EDM fanatics will be excited to hear we’ll be giving out a pair of tickets to Krewella‘s headlining show at the the Club Nokia on Thursday, March 13. The Chicago trio have been at it since 2007, starting off with the tracks “Life of the Party” and “Strobelight”, being the first material released in 2011. A year later their single “Alive” off the EP, Play Hard, increased their popularity, leading them to perform at major EDM festivals like Ultra Music Festival and Electric Daisy Carnival. To stir the clamor even more, Krewella released their debut album, Get Wet, last year in September, reaching number eight on the US charts. Catch the trio as they present this special all ages show! Tickets are $25-$55 (ADV)/$45-$65 (DOS), doors open at 8 PM, show starts at 9 PM and the event is all ages. You can win a pair of tickets with us by entering the contest below! First make sure you’re following Grimy Goods on Twitter here and/or “like” our Facebook page here. Next, email ggcontests@gmail.com with your full name for guest list and a clever reason why you want a pair of tickets to Krewella at Club Nokia. When you’re done with your email, send us a Tweet (see below) so we know you entered the contest or you can post on our Facebook wall. We’ll select a winner that has done all of the above mentioned. Winners will be announced via email, Facebook and Twitter on Wednesday, March 12. Winners will have until 10am Thursday, March 13 to reply back to our email and confirm their win. FACEBOOK: Just leave a comment on our wall letting us know you entered our contest for tickets to Krewella at Club Nokia on March 13th. Check out more Grimy Goods contest giveaways! 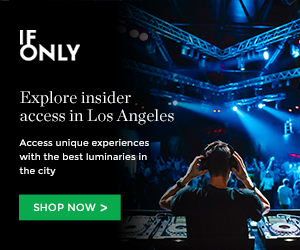 This entry was posted in Concerts & Events, Giveaways and tagged club nokia, free tickets, giveaway, goldenvoice, Krewella, los angeles, ticket giveaway, tickets contests, win on March 10, 2014 by Brissa Sanchez.